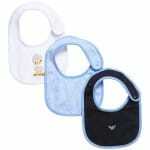 Armani baby boys pack of three soft stretching jersey bibs. All bibs have a suitable Armani logo snap fastener on the strap. The first bib is navy blue with a small eagle logo print and a pale blue trim. The second one is pale blue with eagle logo striped pattern. 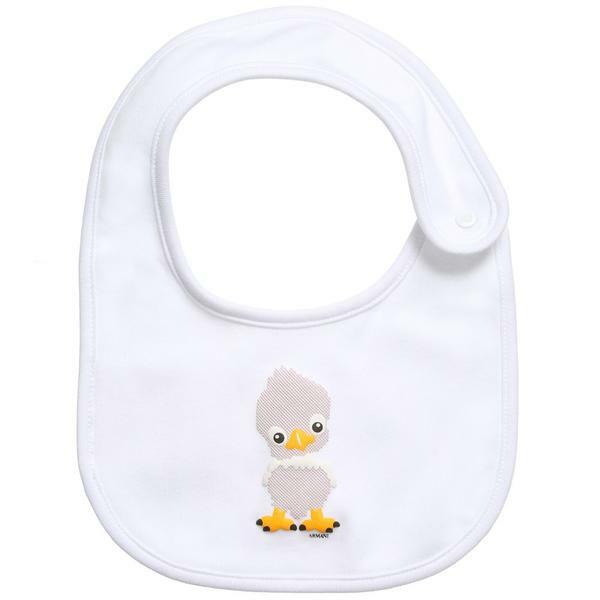 The third bib is white with a cute brown brown duck on the front. 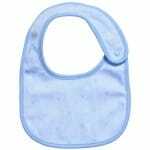 The bibs can be cleaned using machine washing in 30*C water. 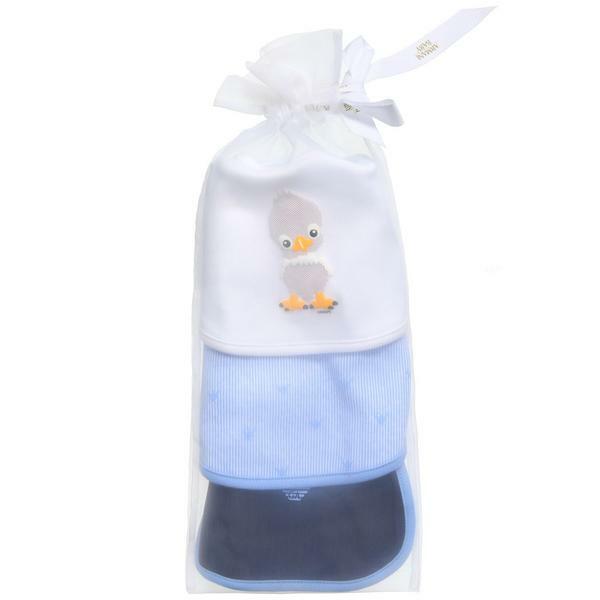 The set of bibs comes in a drawstring organza bag that would make a perfect gift.